Marrakech was a riot of colors, sights and sounds – You will experience the orchestrated chaos of the traffic and the endless vendors peddling goods in the souks. The main sights are mainly located in the medina, while Palmarie houses all the upscale luxury hotels (great for relaxation) and the new town of Marrakech is located in the Gueliz district, where you will find locals living. 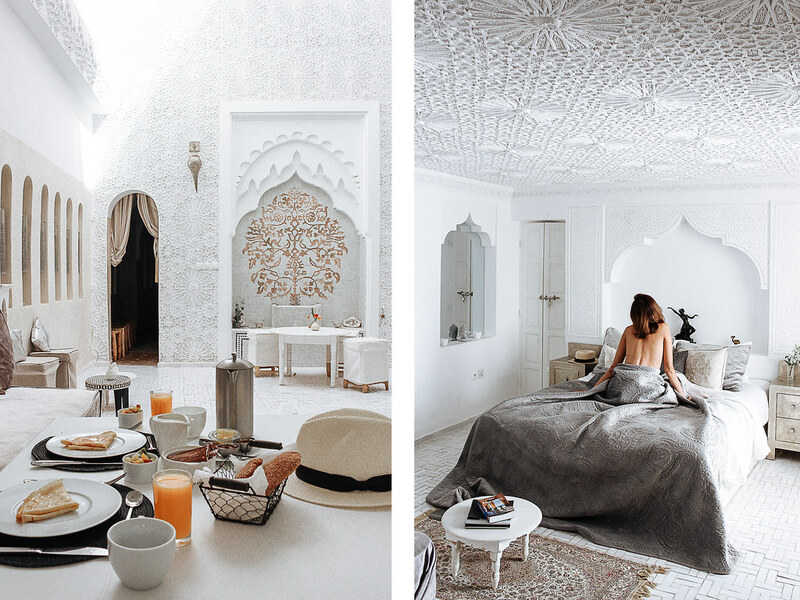 We stayed within the medina at Riad Star for 3.5 days, which gave us enough time to explore all the sights within the medina and also to visit the luxury hotels. 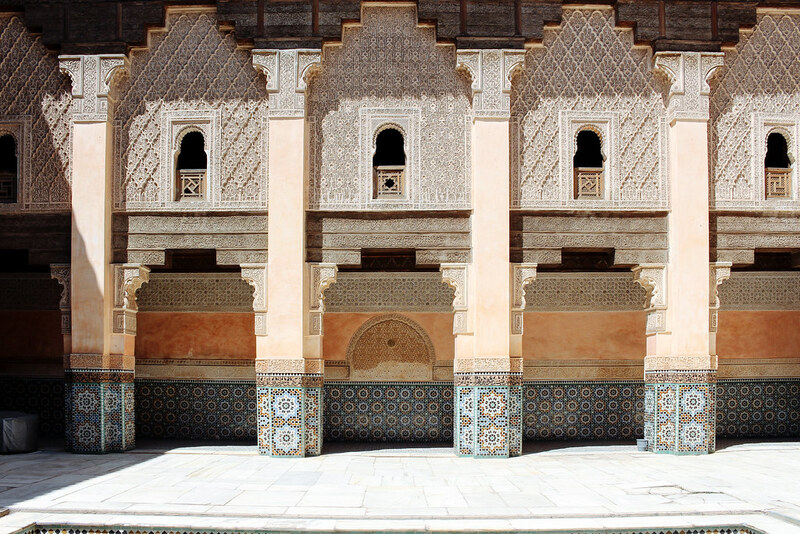 Our first stop was Ben Youssef Medersa – This medersa was different from the ones we have visited in Fes, as it allowed visitors to visit the second floor, which houses the students’ dormitories. However, I didn’t enjoy Ben Youssef as much, as the medersa was badly in need of maintenance since tiles were broken and crumbling. We also visited the stunning Bahia Palace, which I particularly enjoyed. 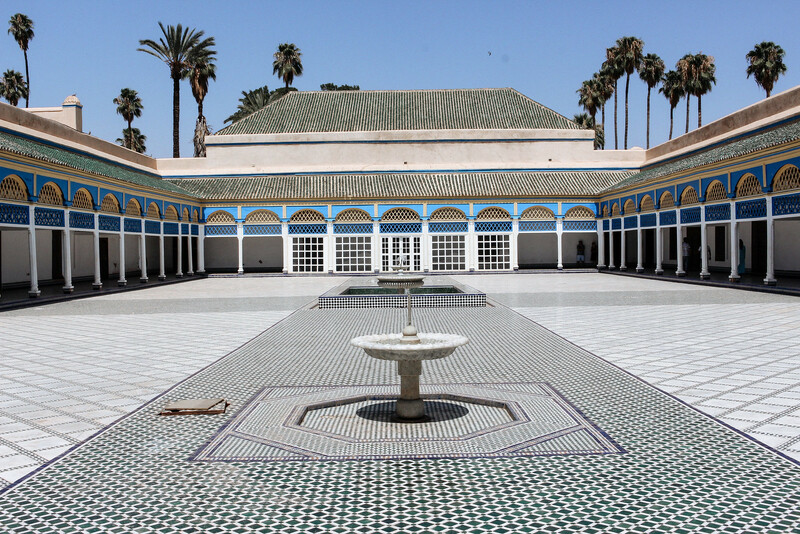 The Bahia Palace, is one of the best preserved historical sites in Marrakech, built in 1867, and used to house the French General during their occupation. It features 150 rooms and courtyards, with each of the rooms decorated with intricately carved woodwork. The mosaic tiles and motif patterns on the floors of the rooms are also equally stunning when you consider the scale of the palace. 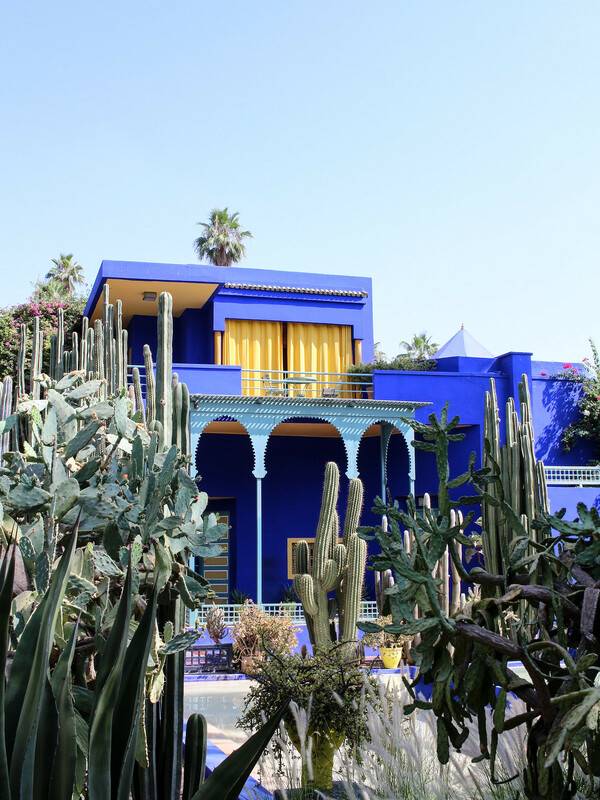 An attraction I particularly enjoyed is Jardin Majorelle, which is the garden and holiday home of Yves Saint Laurent. I've read YSL’s biography and it is recorded that he frequently visits Marrakech and looks upon it as a source of inspiration during his peak years. 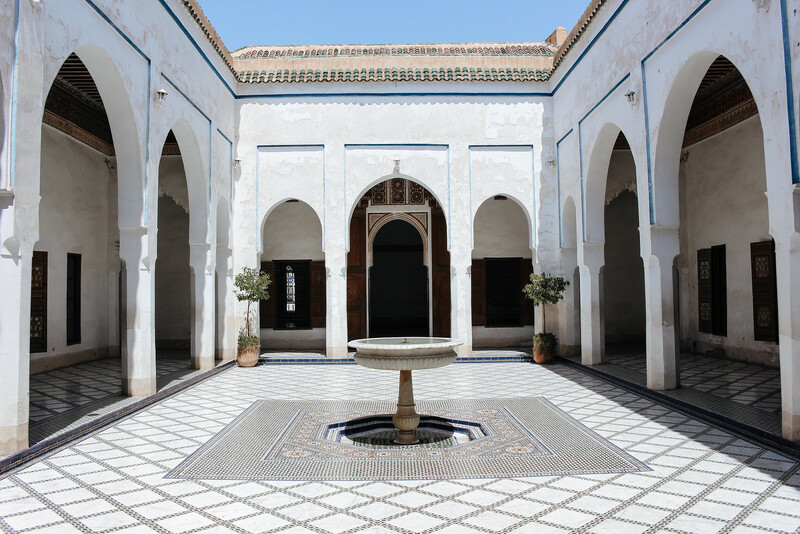 The ticket price is steep but worth it – Do pay a visit to the Berber Museum within the garden’s grounds too. Finally, there is Le Jardin Secret, that I recommend for some quiet and respite from the medina. 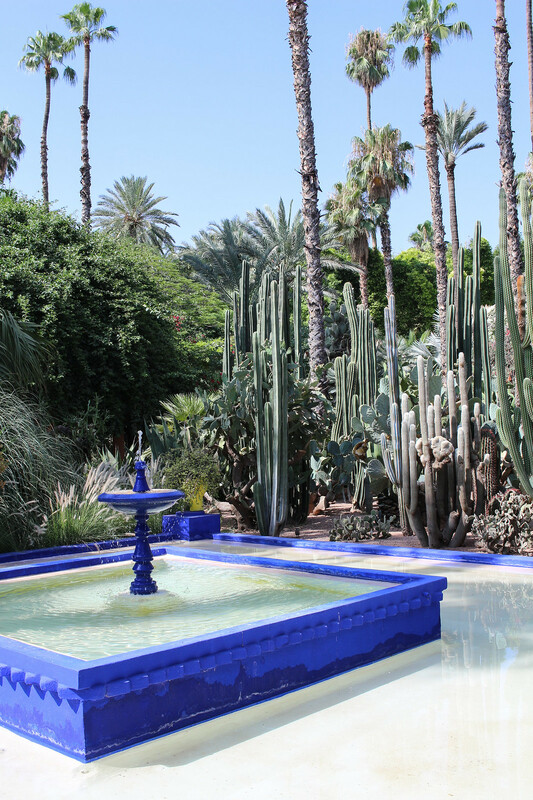 Le Jardin Secret only completed restoration in 2016, which took years to replicate the riad’s original garden irrigation system, which relied only on gravity to irrigate the plants along the canal. 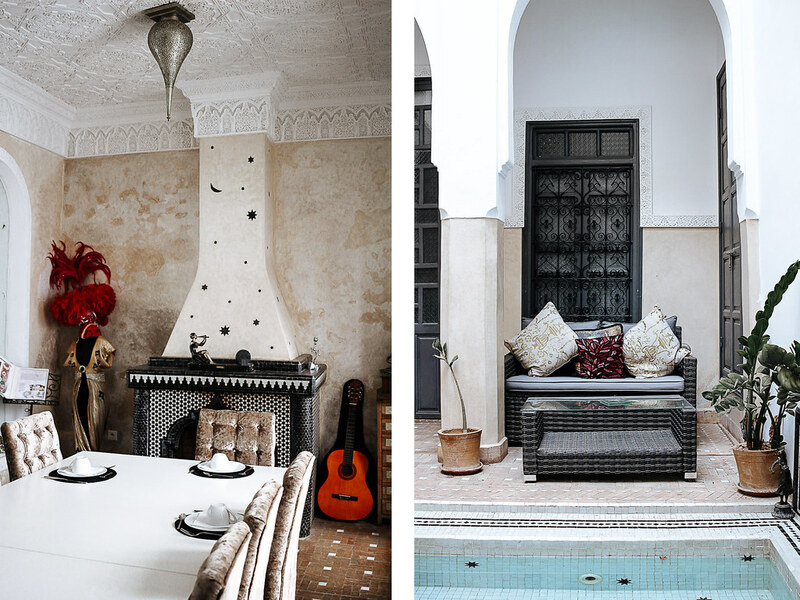 It is very tastefully done, and all attempts were made to ensure that the riad kept to its original façade. 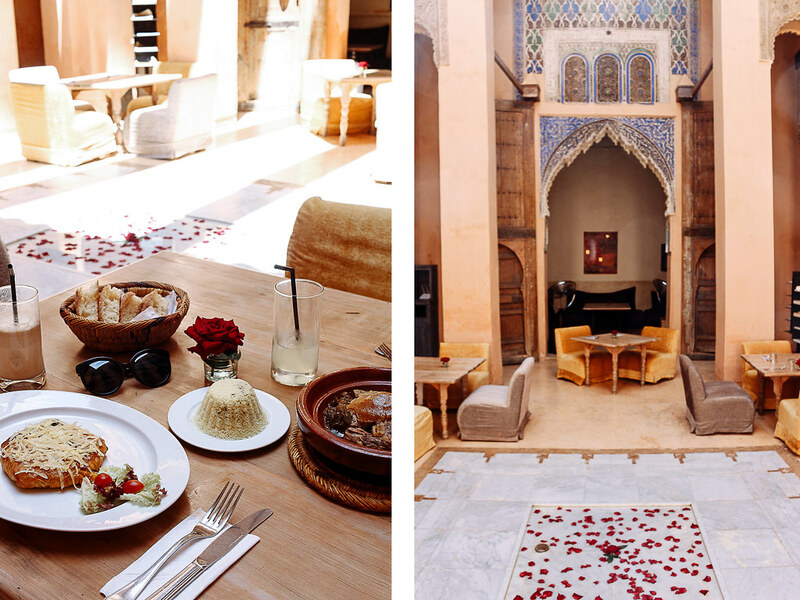 La Mamounia is worth a visit, even if you can't afford a stay there. The lobby details were simply beautiful with its tiled columns and symmetry, and the indoors pool at the spa area simply makes one feel like royalty. 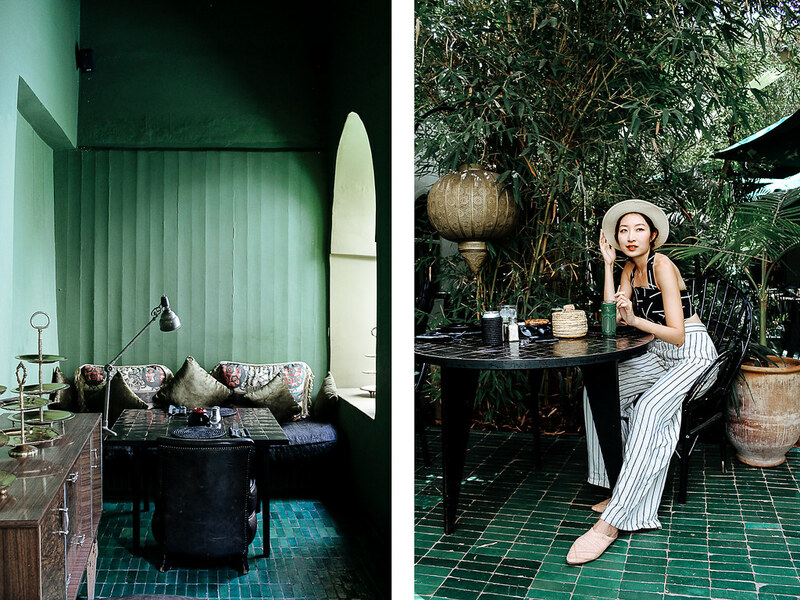 Le Jardin – Hidden away in an unassuming entrance, Le jardin boasts several contemporary multi-label boutiques, as well as an old-school barbershop, all decorated in lush green. 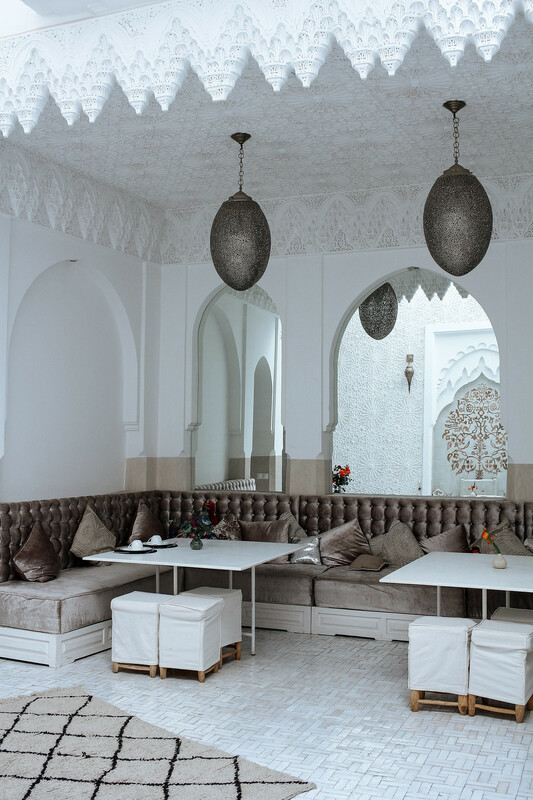 Un dejeuner a Marrakech – We really enjoyed their mains here! It is not exactly Moroccan per se, but it makes use of African spices with Western cooking techniques to come up with interesting flavours. Great service too! La Famille Marrakech – La Famille was closed when we were there, but see the great raves here. I Limoni – An authentic Italian restaurant set in a courtyard with lemon trees. What more can you ask for? Once again, didn’t get to visit this one, but please go if you get the chance! 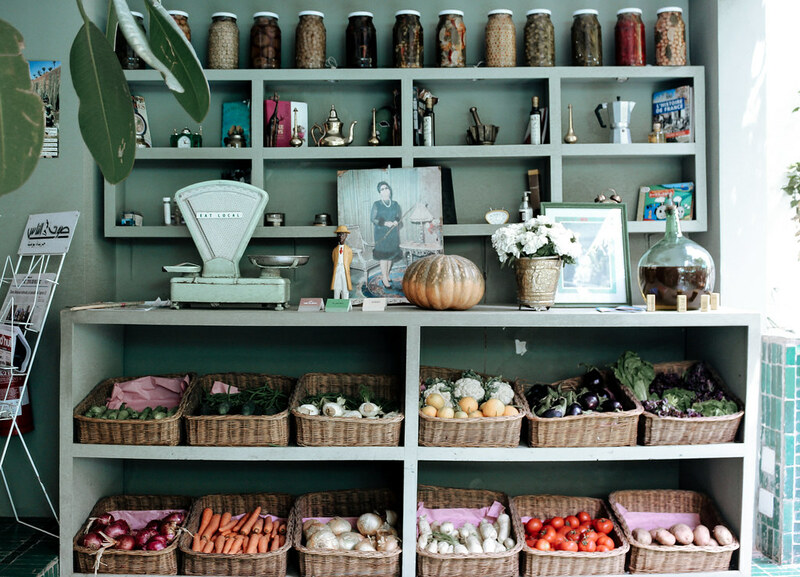 Dar Cherifa – This beautiful restaurant is housed in a 16th century home with tall double doors and terra cotta paint. They serve very good traditional Moroccan food and service is very warm. Jemma el Fna square – During the day, the square is bustling with snake charmers, Henna ladies, fruit carts and other tourist touts. Come sundown, the square transforms into a series of popup food stalls selling various street food. We judged the quality of the food stall by the number of locals dining there, and we didn’t go wrong! Mechoui Alley – Slow roasted whole lamb with pita bread, made by vendors 20 years in the trade. Enough said. 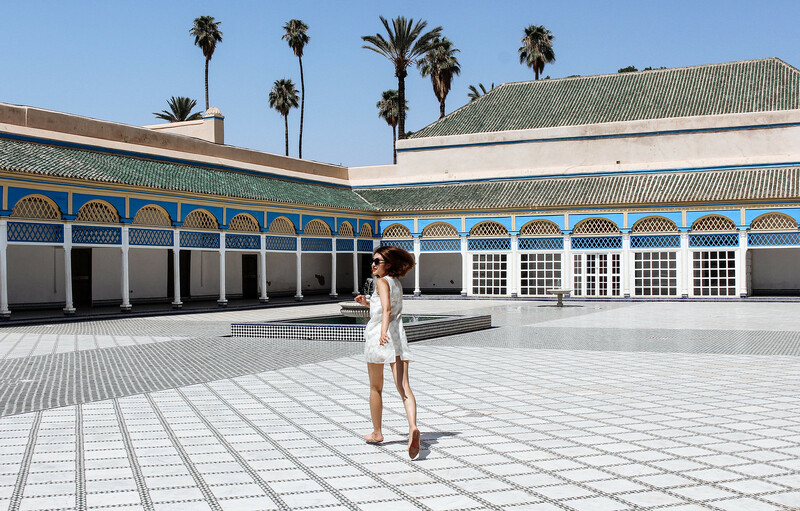 Marrakech has a multitude of riads - all equally charming and with their own quirks. 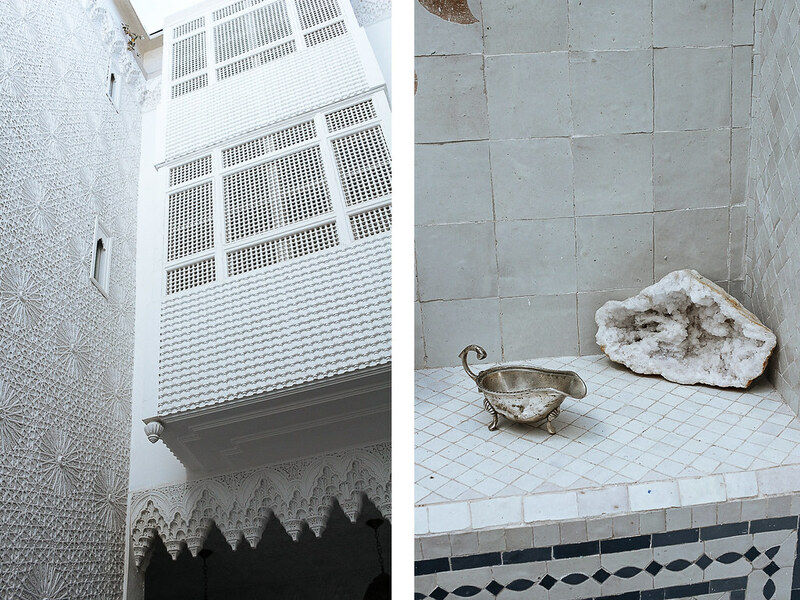 We chose Riad Star for its beautiful plasterwork decorating the new wing of the riad and it being the only riad in town to claim roots to being the old residence of Josephine Baker, a huge star during the glitzy jazz age. 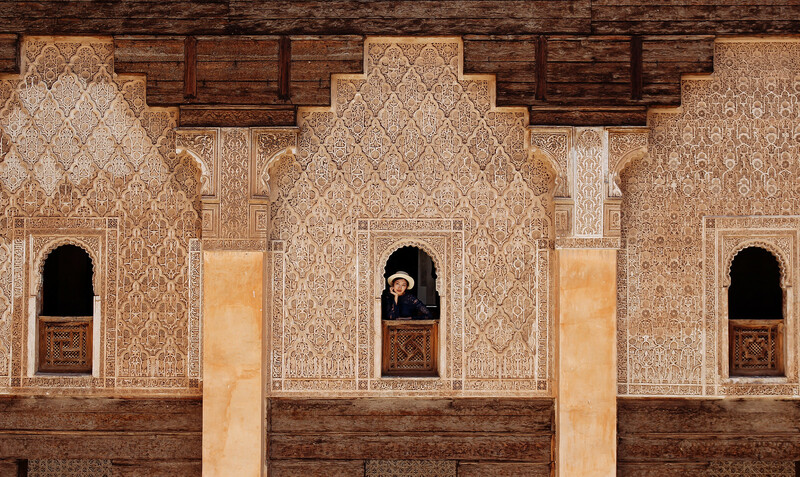 There's a large number of hammams in Morocco catered to various budgets and for tourists/ locals. Local hammams have different operating hours for men and women, and do not allow for couples to bathe together at the same time. Since I was traveling with my bf, we went for a tourist-style hammam - Les Bains de Marrakech. It is very similar to a typical spa experience - You will be given a bathrobe, slippers and disposable underwear upon entering and led to a steam room, where you lie on marble slabs to steam. The gommage (scrub) ladies will then enter to give you a hard scrub down with a loofah and black soap, which is a natural exfoliation scrub made from crushed olives, salt and oil. You are then washed down and led to the massage for a relaxing 1h massage. At the end or in between, you can choose to use their pool facilities. The other good hammams I found during my research were: Hammam de la Rose, Les Bains Bleu and Heritage Spa. During the day, the square is scorching hot and you'd find henna painters, snake charmers and fruit juice stalls. However, after 5pm, the square is transformed into a public performance ground, with bellydancers, circus acts and many more! Hope you find this guide helpful! See my guide to Fes here.